One of the followers of this blog asked a simple question. My initial reaction was … yet another person asking for help. Depending on what resources I have open at that instant often governs my reply and depth of involvement. I don’t normally give a flat “no” but further requests often end up with my “standard” reply – if I helped everyone who asks for help I’d never get any records added to the Geelong and District Database and I certainly wouldn’t have more than 1.6 million records there. Because I was in the middle of doing similar searches for my own projects I threw this one into the mix and was about to say “enough” when I threw some keywords into Trove and the Geelong Advertiser. 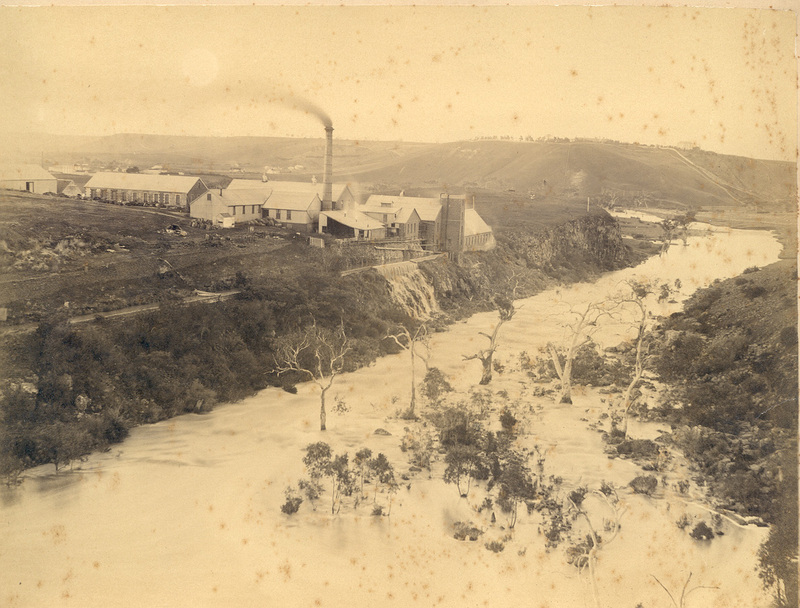 What I found explains why I’ve included the photo of the Paper Mills at Fyansford! Along with thousands of other people, Ada GOULD was included in a list of unclaimed money – discovered by the blog follower. Ada had a Geelong address and the reader was hoping we could help find Ada. It didn’t take long to confirm that Ada GOULD nee BAILEY was deceased, as was her husband. It also appeared that they had no children so Ada’s siblings would be the nearest relatives. Most of Ada’s siblings were born in Skipton, Victoria. The task of tracking each sibling was above and beyond … I had other projects on which I had to focus but a quick look at the Geelong Advertiser completely threw me. Ada BAILEY took on a whole new meaning – now it’s time to call in reinforcements – can any of you help with tracking down Ada’s living kin? Please let me know if you find anything to add to this family and perhaps find Ada’s next-of-kin. Next When and where was this photo taken? Great Article. Thanks for the info. Does anyone know where I can find a blank “Family Group Sheet” to fill out? Hi Jean, There are heaps around – try Cyndi’s List under forms [ http://www.cyndislist.com/ ] or use any genealogy program – many have a free version such as LegacyFamilyTree and these forms are often referred to as Questionnaires in the list of Reports – in other words, they have all the headings but the data fields are blank for people to fill in.